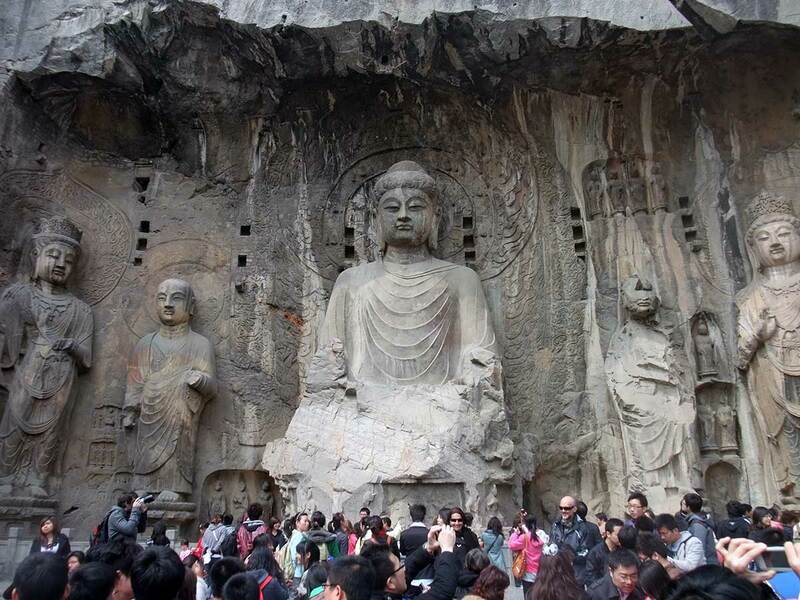 On the day following Grandmaster Chen Xiaowang‘s Taijiquan (Tai Chi) seminar, we left Chenjiagou and headed to Luoyang, to visit the Longmen Grottoes, south of China’s ancient capital. 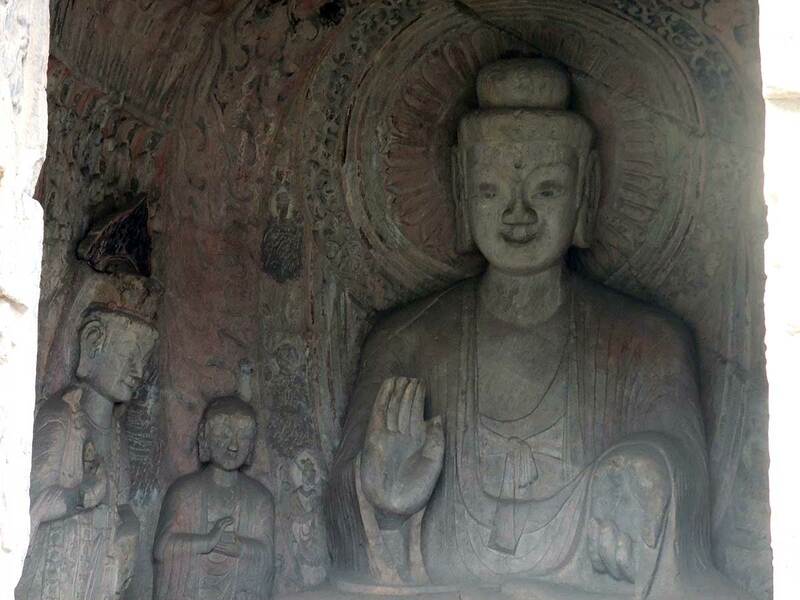 The grottoes were excavated in the limestone of the Longmen and Xiang mountains, on the bank of the Yi river. 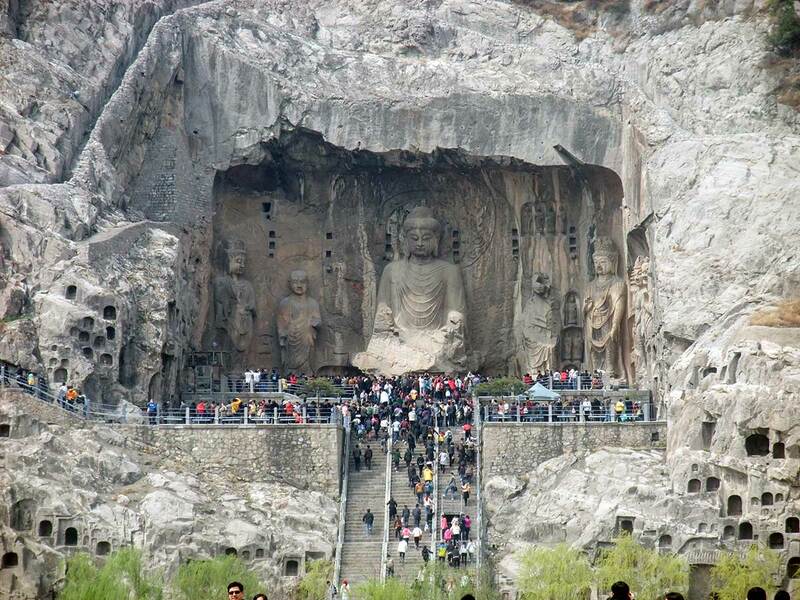 Inside the grottoes, directly carved on the mountain, are Buddha’s images, varying in sizes from 2cm to 17 meters high. The one hundred thousand statues, in fourteen hundred grottoes, are now considered by the UN to be part of mankind’s cultural patrimony. The images were carved form year 493 to 1127, and the government has recently built a modern access complex to host the growing tourism. 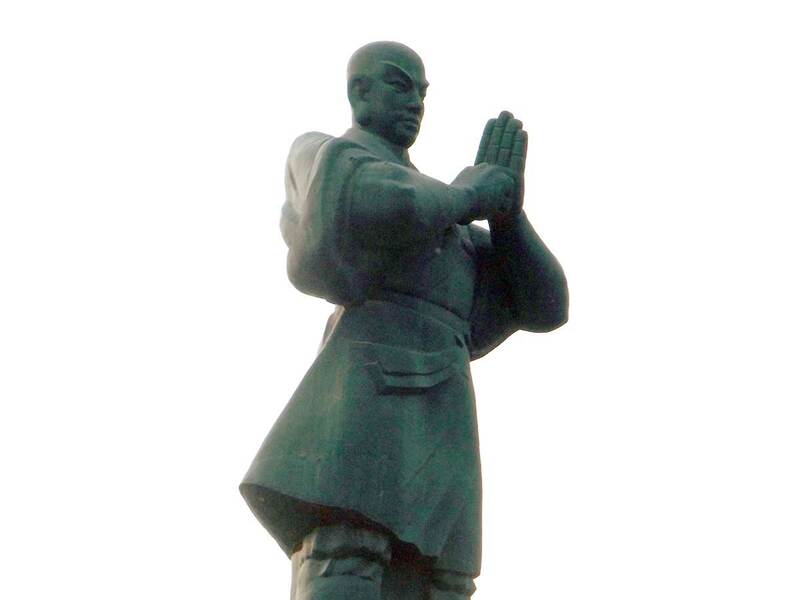 Shaolin was our next stop. 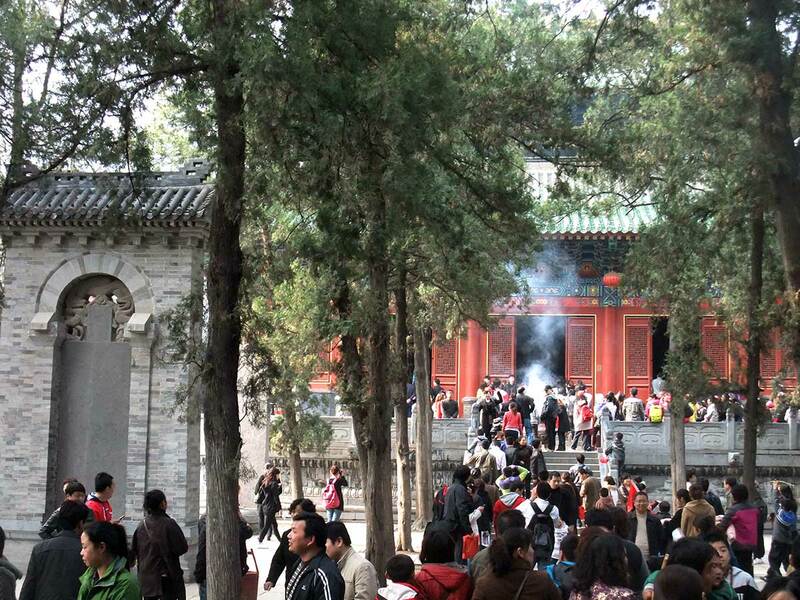 The monastery, famous for its history and for the legends that involve it, is also a crowded tourism destination. A huge parking lot gathers the buses that pour thousands of curious tourists everyday, avid to buy souvenirs and their entrance tickets at the square just before the historic site’s entrance, where Boddhidharma’s statue stands. A huge pedestrians-only avenue leads to Mount Song, where the Temple is located. On the way, one can watch a show put up by the neighboring martial arts school. 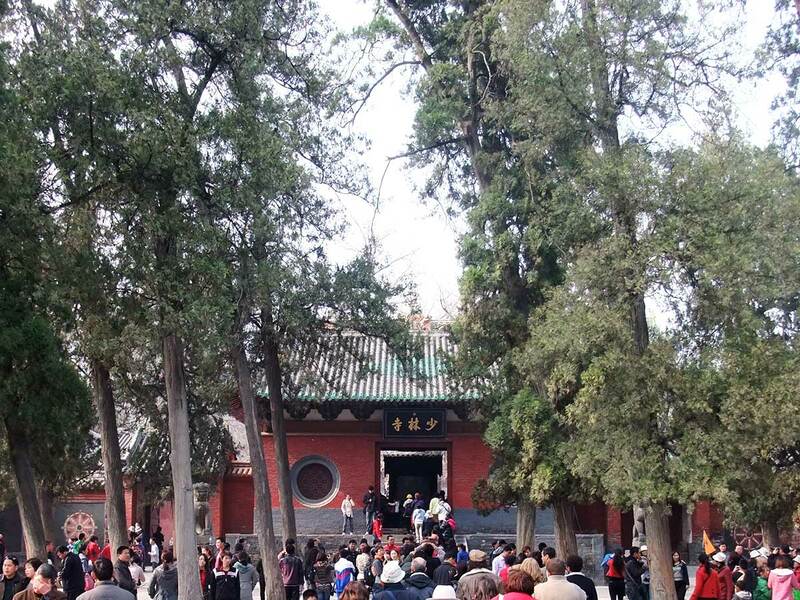 Until a few years ago, the Temple was surrounded by schools of various sizes, which taught various external martial arts systems, more or less related to Shaolin Quan. 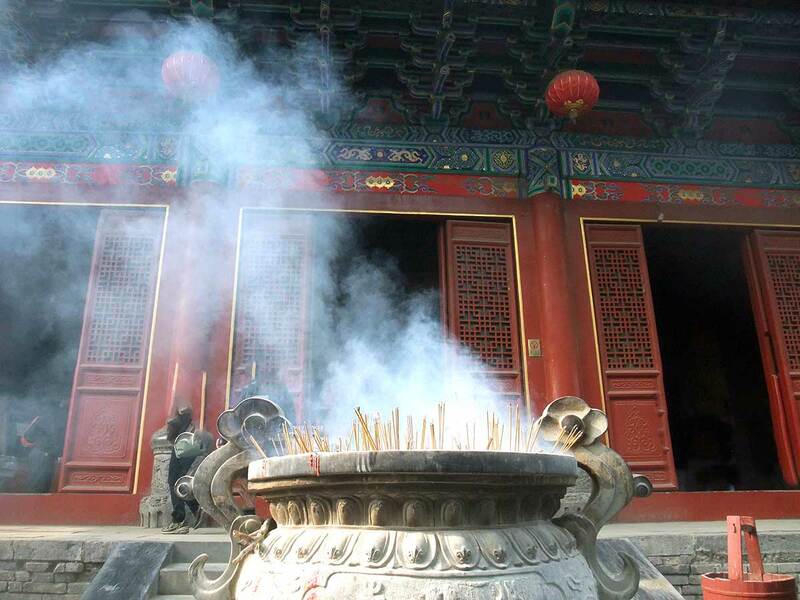 They have been removed by the government when the historic site was remodeled, and moved to Dongfeng, the nearest town. Only one school was allowed to stay near the Temple. 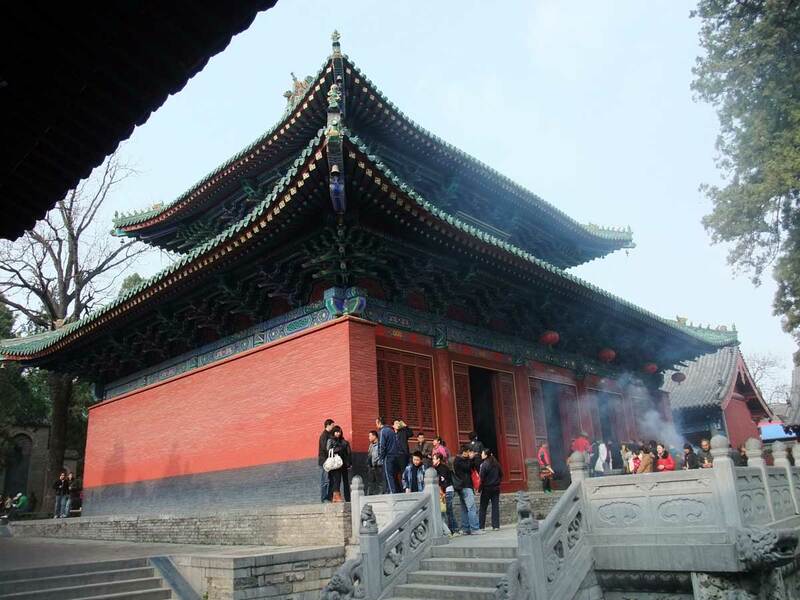 The first sight upon arriving at the Temple itself is the entrance gate, and this is the picture we are all used to seeing, but the Shaolin Monastery is much bigger than that. Just after the gate one has to go through two Jingang, the Buddha’s guardians. 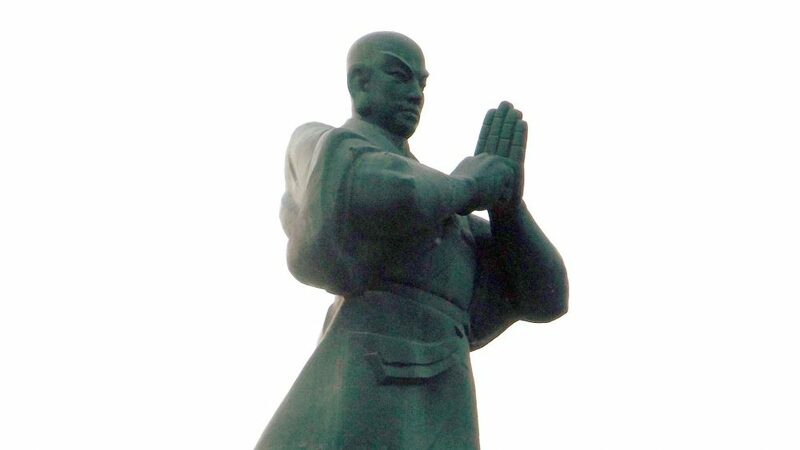 These guardians are the ones referred to in Taijiquan (Tai Chi)‘s second posture, 金刚搗碓. 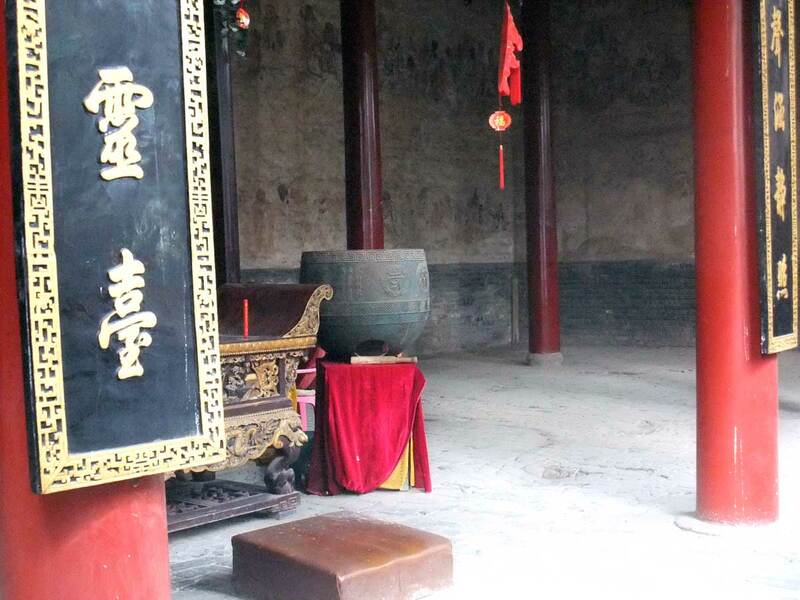 The black stone where the names of the monks who fought in the Tang Dinasty’s battle is in the first courtyard – it was their taking part in the battle that secured the future Emperor’s support to the monastery. Among the pavillions inside, the one most important for martial arts is the last, where the stone bricks ground has been sunken in many spots by consecutive generations of monks practicing therein.